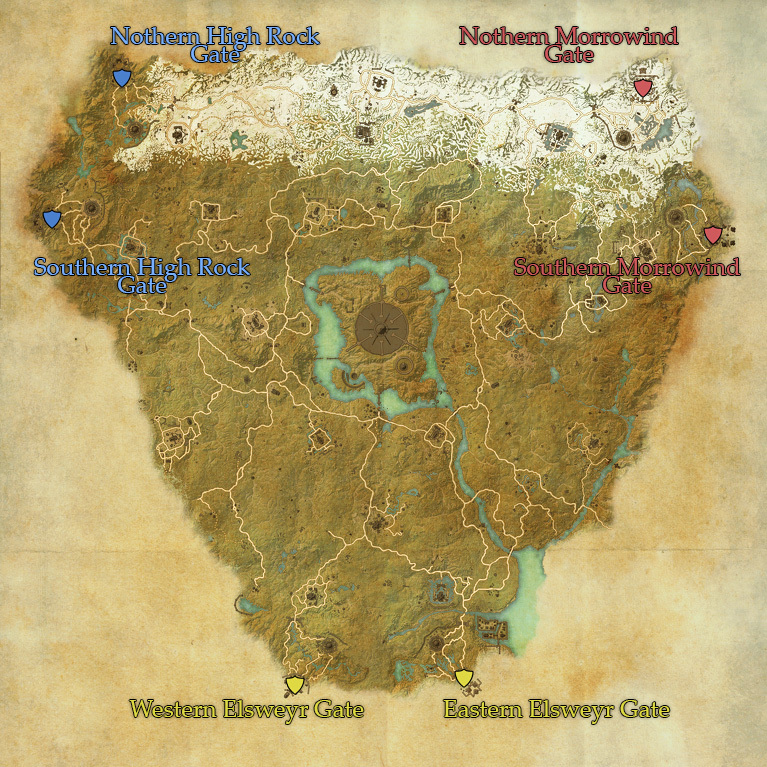 actually this isn't super helpful… what they don't make clear is that you have to zoom super far out in order to see any locations other than Cyrodil… I figured everything out on my own, it wasn't until the button mashing and frustration from this site not answering me that made me rage squeeze my controller until I saw a world map by chance… «Leaving Cyridil» should definitely be one of the quick tutorials. Where is the 'normal' wayshrine? Don't worry I found it!! !